No other charity invests so much as the RHS in the scientific study of horticulture. Our work creates greater knowledge of cultivated plant diversity in the UK, and we share our research findings as widely as possible, offering gardeners practical solutions to cope with our rapidly changing world. Our herbarium is an irreplaceable repository of plant specimens, illustrations and historical data. Help us create its new home. The RHS Herbarium is one of only a very few in the world to specialise in cultivated plants. It holds more than 86,000 dried specimens from the UK and overseas, including many donated by breeders, nurseries and RHS members. It is a unique record of the development of ornamental plants and a vital resource for research. The herbarium is currently housed in the original Laboratory building at RHS Garden Wisley, dating from 1916, which was not built with the technical conservation needs of our current science collections in mind. It is immensely valuable to horticulture today and will become increasingly so in the future. After 100 years, the herbarium has outgrown its current quarters. We need to move. We also want to take the opportunity to implement much-needed environmental controls, so that we can ensure that our collection is available to researchers for the next 100 years, and beyond. The new National Centre for Horticultural Science and Learning (see below) will deliver this, enabling us to increase the capacity to store over a quarter of a million specimens. 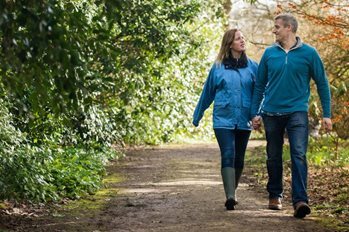 This will support our target to build a comprehensive collection of all UK ornamental plants in the next 20 years. We currently have less than 10% of the UK’s cultivated plants in our herbarium. A new herbarium will provide the essential controlled environmental conditions to preserve and expand our nationally important collection, where specimens will be processed, prepared, catalogued and researched. We are committed to opening up its collections to users, mainly through making available images of the specimens. The process of digitisation will be completed before the collection is moved to the new building. The aim is to provide an online resource for the identification, naming and study of garden plants. The information will help to solve problems for the researchers of the future and the specimens themselves could be used in morphological and DNA investigations. In addition to the Herbarium, the RHS has other important collections and resources, including insect specimens (23,000), cultures of plant pathogens, plants in our gardens, our plant registration and horticultural databases with more than five million records. 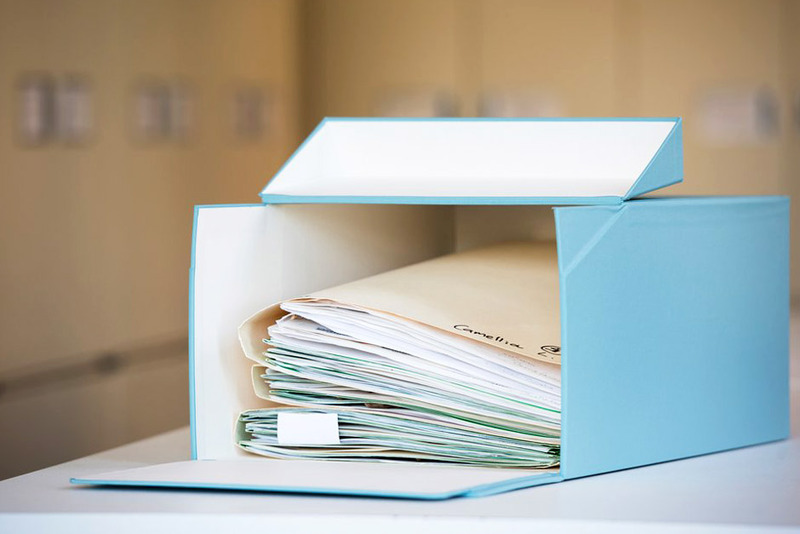 When the RHS Herbarium moves into its new home in the National Centre for Horticultural Science and Learning, the specimen sheets will be housed in new heritage archival boxes, lined with acid-free paper, which will ensure they are stored in the best conditions possible. The new building will be able to accommodate up to 400,000 plant specimens representing the whole of the UK garden flora. Be part of a unique opportunity to sponsor one of our storage boxes. You will be updated throughout the build of the Centre and be invited on a tour when it is completed. As a special thank you, we will record your name in the Centre as a Herbarium Box Sponsor. Or you can make a donation of your choice to support the National Centre for Horticultural Science and Learning. As he wandered through the volcanic mountains of Yunnan, could George Forrest, explorer and plant collector (see photo, above), ever have imagined the impact that one of his collections would make, even 100 years on? For he discovered Camellia saluenensis, one of the parents of the renowned Camellia x williamsii ornamentals. The RHS was a member of the syndicate that sponsored Forrest’s 1917-1919 expedition to China. 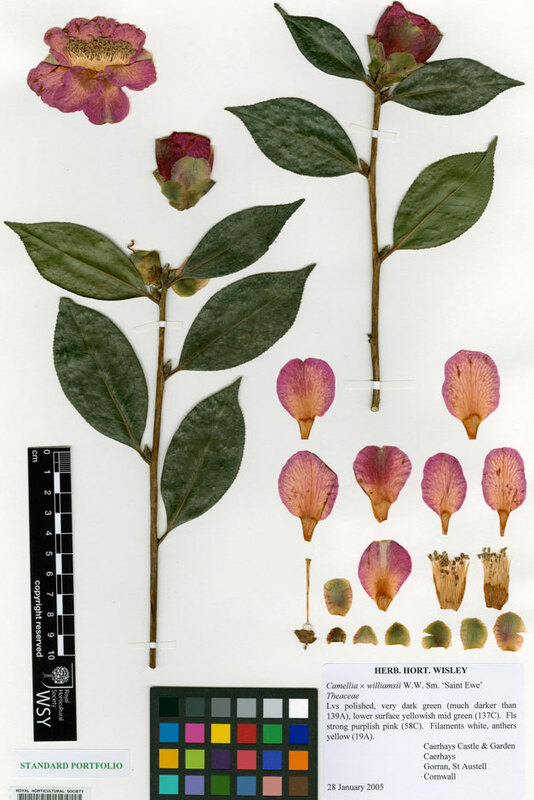 The RHS herbarium has a large number of dried specimens and paintings of Camellia x williamsii cultivars and even includes Forrest’s original collections of C. saluenensis, notes and images. Camellia x williamsii ‘St Ewe’ (see herbarium specimen, left) was bred by JC Williams of Caerhays and introduced in 1947 when it first received the RHS’s Award of Merit in 1947, and subsequently gained the First Class Certificate in 1974 and the Award of Garden Merit in 1984 and 2012.